It is our practice to stay as involved in community affairs as we possibly can. Apple Holler greatly appreciates the guests to our family farm, restaurant, and country store, as well as the wonderful individuals and organizations in our community who are doing great things for worthy causes. 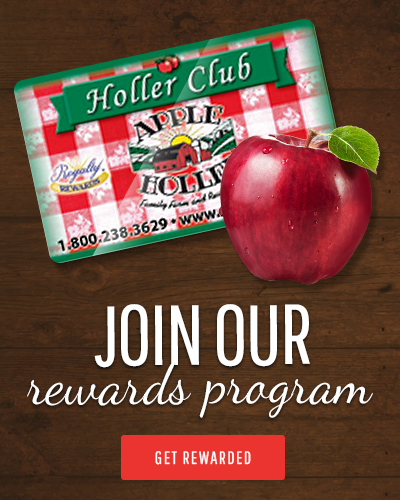 Apple Holler will furnish you with flyers to distribute to your community. For each flyer presented during your fundraiser, 20% of all dining sales generated by your organization is returned in the form of a check from Apple Holler. The bigger the showing of your supporters dining with us, the bigger the check your organization receives. Please call our fundraising coordinator at 262-884-7100 to set up your event! Once your event is set up with your coordinator, Apple Holler will email you flyers promoting your event for you to distribute to your community. Your supporters simply have to present the flyer while dining during your event. With all of these fun and different ways to raise funds for your cause, we are certain we will be able to work together to find just the right fit for you! Please call us at 262-886-8500, to hear more about any of these FUNdraising opportunities. We look forward to working together with you as we continue to make our community a great place to live!